The JPPost72 is a humbucker set that I found when wanting to dive into the Jimmy Page realm of tone. Right away, I found this set to be more than expected. 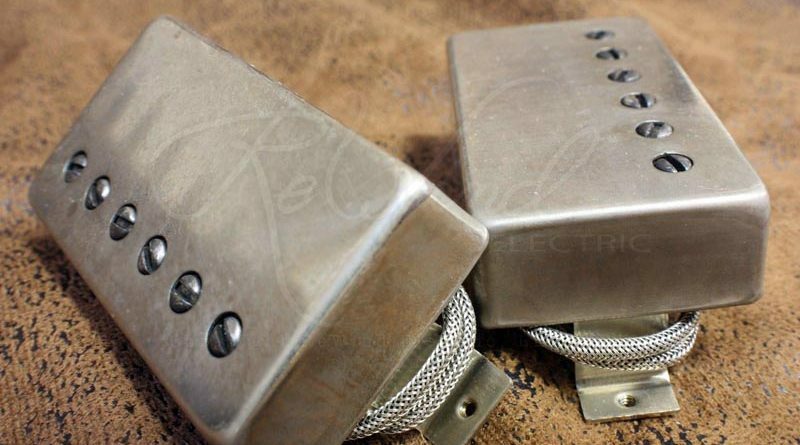 As a very versatile set of pickups, the JPPost72 set handled any style and era of rock that I threw it’s way. I even have to admit that it’s the first set of pickups in a very long while that got me to go beyond my standard amp settings to really see what could be done. 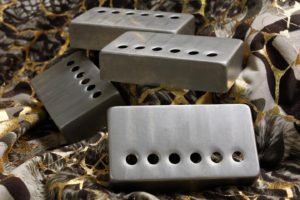 The JPPost72 bridge pickup has a raw vibe that makes you want to play with your guitar slung down to your knees, belting out the big open chords and powerful riffs known to bring arenas to their feet. Yet, when on a clean amp setting, it can be airy a chimey in full series mode. It responds very well to different picking styles and subtlety in fretting-hand finger movement. Lows are precise and punchy, the mids snarl with authority, and the highs are edgy and sweet. 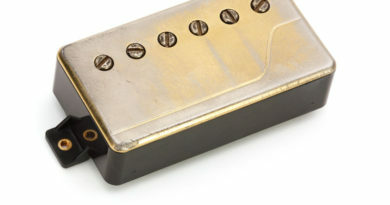 The JPPost72 neck pickup is the more surprising of the set. While a lot of players find a PAF-ish neck to be ideal, some of them have been hit-or-miss for my purposes. However… this neck pickup has a unique complexity to the voicing that lends itself to a bit of a convergence of qualities not always found in a neck model. It’s a little warm and full… yet it’s a little bright and articulate. Probably one of the most airy and chimey PAF-style neck pickups I’ve come across so far. A very nice blend of good qualities. At full blast, the JPPost72 set covers a LOT of ground. 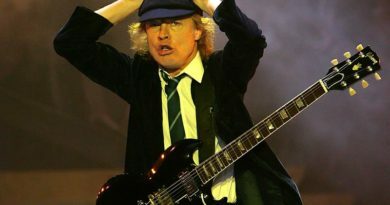 Classic rock, blues rock, hard rock, and even on into more aggressive rock styles. Going into split or parallel mode or dialing down the volume knob and you’re getting into some really nuanced jazzy and more traditional blues territories. Both pickups together in parallel mode is a fun backing rhythm sound. 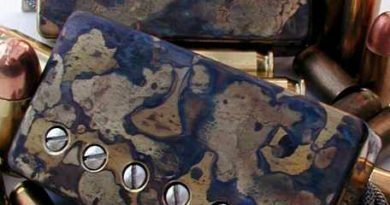 You can get your JPPost72 set with new or “aged” covers in nickel, gold or chrome. A cool option is also for only the neck pickup to be covered and a choice of bobbin colors. 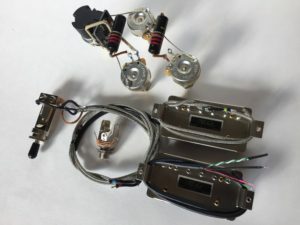 Another option is vintage two conductor wiring or 4-con wiring (if you want all those nifty Page-style wiring options).